The 2018 Australian Grand Prix saw Formula One Management (FOM) unveil a new-look to their television product, with a new introduction five-minutes before the race and a new graphics set. Admittedly, some of the riskier and controversial options on the table, such as introducing a highlights reel half way through the race, did not make it to fruition, for Australia at least. Inevitably, comparisons will be made between this set of graphics and previous iterations. But which set is your favourite? Here is a look at each graphics set, along with a poll at the bottom of this post. I have made a conscious decision to leave out any of the graphics set from before 1994, as my knowledge of what happened before then in this area is limited. I also am unaware whether there was a consistent graphics set used for complete years, or whether it was the decision of each of the local hosts. What I do know though, is that from 1994, things became a lot more consistent. 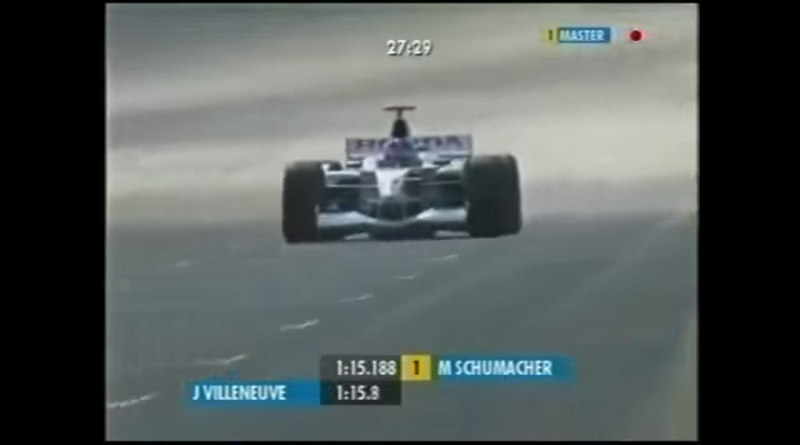 Those who watched via the standard World Feed did see the F1 Digital+ graphics set once, during the 2002 United States Grand Prix, but apart from that, it was hidden away on the pay-per-view service. Once the service collapsed, the graphics set was discontinued, although the collapse of the service was what probably led to the World Feed graphics getting an overhaul for the beginning of the 2004 season. 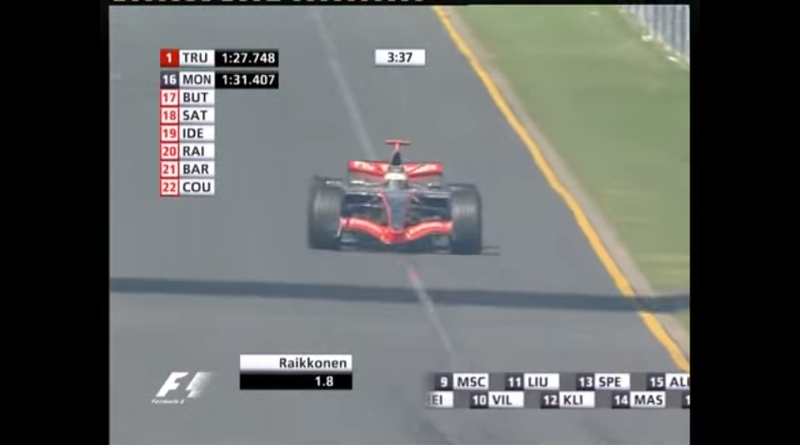 The 2004 to 2009 graphics set was notable given the number of new features that came with it, such as the timing tower, which I do not believe was included in the F1 Digital+ set. This was also the first graphics set that made heavy use of the three lettered abbreviations that are now commonplace in motor sport. What I do not know is whether these were FOM innovations within motor racing, or a trend that began elsewhere – anyone who watches football will know that abbreviations have been around for decades. Like the previous version, this set of graphics went through multiple iterations from 2010 until 2014, but the overall vision remained the same, with not much changing under the surface during the five years. Minimalist was the name of the game, and with branding around the world heading that way in the past five years, this iteration of FOM’s graphical package followed that trend. ‘Keep it simple’ is another way of saying it, and I was a fan of this set. 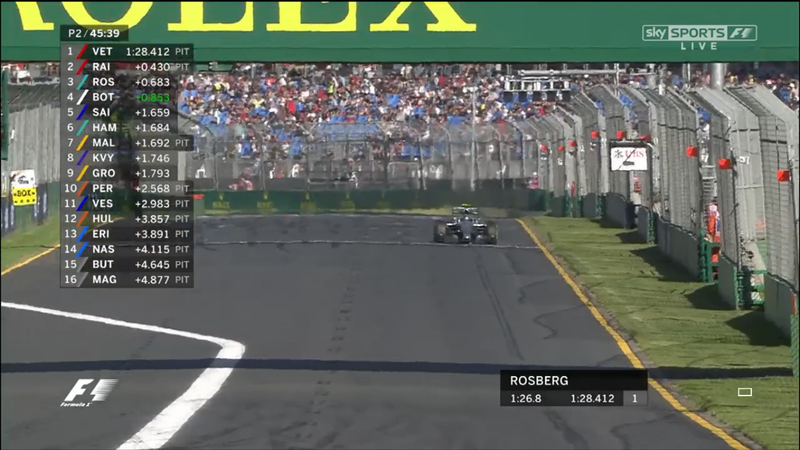 The 2015 to 2017 graphics set on display during practice two at the 2015 Australian Grand Prix. Maybe this set was too clean for what the ‘new’ Liberty Media style Formula 1 brand is trying to be? In terms of value added, again you could argue that FOM did not revolutionise with this graphics set, leading to a stale television product. But what they had was good, in my view. Part of me wishes that FOM iterated with that set, rather than ripping up the form book again for 2018. But, if the code that generates the graphics is unwieldy, complex and has what is known in the field as ‘technical debt’, then starting back from square one is worth it in the long term. It was inevitable that with Liberty Media’s take over a new graphics set would arrive ready for 2018. Whilst the new package has potential, and already has several strong points, there are one or two areas that need to change. Looking at McLaren’s Stoffel Vandoorne during the 2018 Australian Grand Prix qualifying session. The very basic point to start with is that the font size on the timing wall needs to be larger. Compared to the previous two iterations, the size of the font is smaller, making it difficult to read on different devices – squinting at the television is not the best method for watching Formula 1! Secondly, FOM need to iron out the colour clashes (the ‘purple sector’ problem is one of these). 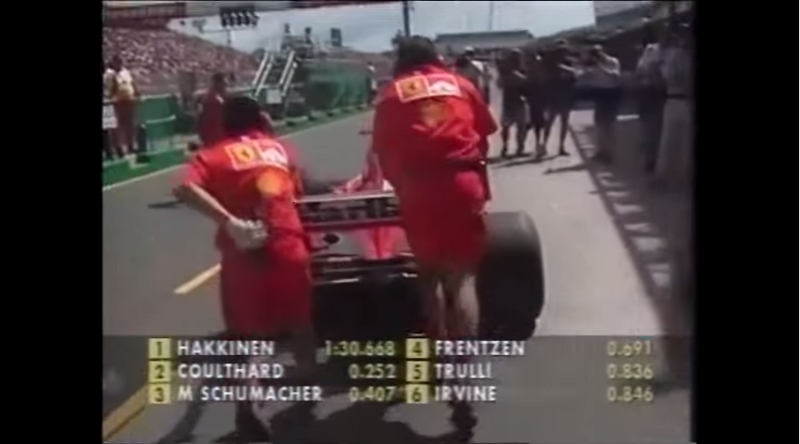 One the other hand, the timing wall is clearly more flexible than the previous iteration with information about the driver, such as their team logo, displayed occasionally to help the newer fan coming into the sport. The wall also clearly identifies when a driver has overtaken someone else in practice or the race, through red and green markers. A further post will be coming up in the next week or so with detailed analysis looking at all aspects of FOM’s package for 2018. Of course, there are always room for improvements with any graphics set, but, as with the 2015 set, these are mainly tweaks. If the font size does not change moving forward, there should be cause for concern. But, where does the 2018 graphics set stack up for you historically? Do you like the approach taken by FOM, or do you wish we could travel back in time to the 1990’s and get the ‘black and yellow’ colour scheme back? It is time to have your say in the poll below and as always, your views and opinions are welcome. Either of the two from 2010 to 2017 would be my preference, this weekends’ was some of the worst OSGs that I’ve ever seen. Not only were they difficult to read but the inane extras such as ‘Driver in danger’ or whatever it was brought dumbing down to a new level. It does make you wonder who gave the go-ahead for these changes, and the suggestion that they seriously considered mid race highlights etc doesn’t give me much confidence in Liberty Media’s ability to improve F1. We’re on a slippery slope towards US TV presentation style. They have also changed the timing app so that the gap updates at every timing loop rather than just at the end of every lap. I used to like watching the sector times and working out for myself if Driver A was catching B. Changes are okay if they add value, so far it has been significantly worse. I know they’re going for a high tech modern look, but to me the font looks a bit tacky. I don’t know. Maybe I’ll change my mind. But at the moment I’d prefer a mixture of the last graphics set and this one. It also seems like I’m hearing the electric power a lot more now than before, especially on the Red Bull onboard for some reason. I presume this is because they’ve moved the mic on the car or just adjusted the audio for TV. Or maybe the halo is causing it. I like it. If they are trying to highlight the hybrid aspect, then that’s good news for people like me who want them to go more electric in 2021. Preferably more than half of the total power from electric. And combine that with a car with less complicated wings and underfloor downforce so you can actually race. Similar to Formula E. Except FE has a visionary leader and F1 doesn’t. So it’s most likely not going to happen unfortunately. The cars will still look the same, they’ll still spend hundreds of thousands on pointless wings that ruin the racing and get broken. Loudmouth luddites like Martin Brundle will push his agenda on the public continuously. Talking to Christian Horner at every single race about the good old days of V10 engines. Etc etc. Nothing changes. i would say that the only problem with the 2018 graphics are that the font is awful and not very easy to read at all. its awful on the tv graphics but just as bad on the f1.com website & official mobile app, simply an abysmal font. the look of the 2018 graphics are not too bad but the font is terrible as i say. i also think that they have been dumbed down a little as bits of the data we were getting on the prior graphics are no longer here. 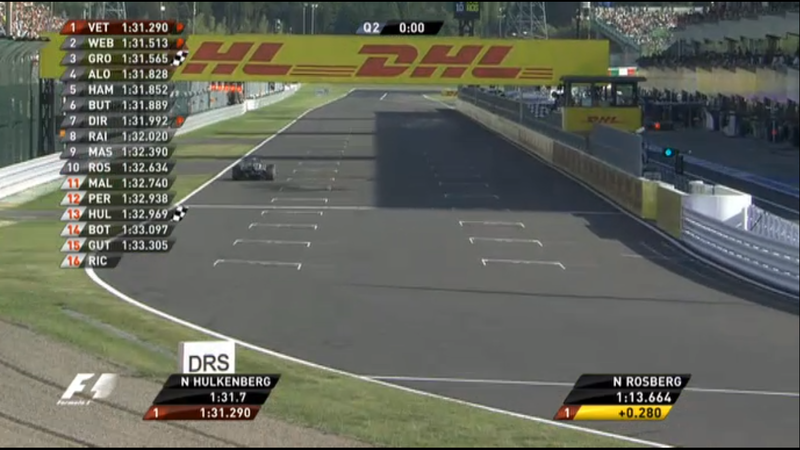 i do not recall seeing the full telemetry graphic all weekend with the accelerator and brake indicators. just less information in general i think which is poor, should at least be getting all the same information we were getting previously. I liked the new graphics. They were tidy, effective and easily intelligible. I think with some tweaking and adding of more granular detail, they will continue to work fine. I’m not a huge fan of the new font, but I was able to read everything on screen, whilst watching the entire race day’s programming from my cheap android phone, via a pretty low quality live stream of Sky’s coverage. I don’t mind the timing tower highlighting certain parts of the action. It’s not intrusive, hence easy enough to tune out if you are not interested. The new insertions were neat and not at all distracting. I was less happy that they seem to have dialled back putting up extra information such as the type of tyres in use, including whether new or used, number of laps done, plus other bits and pieces of relevant technical information – hopefully as they develop the new graphics, we’ll see more useful extra information added to these templates. I really dislike having to rely on Croft and Brundle for all the extra technical information, where they choose whether to relay it to the viewer or not. I appreciate this could be done if I was using a second screen for data, but I didn’t get to try that yet this year. The new timing presentation was effective whilst remaining discreet on screen. The timing gaps in particular were clear, concise and simple enough for less experienced fans to comprehend. I hope they increase the dynamic ad hoc information presented, when relevant to specific action during the course of the race. Like I’ve stated, the new font is not the best. I’d prefer a less stylised / plainer version for the smaller text, plus any chyrons appearing only briefly. However the fact I had no problems reading anything on a cheap little phone, watching a low resolution stream – indicates this is not a significant issue. I wasn’t even wearing my contact lenses or glasses, which probably helped mitigate the relatively low picture quality. I guess if they increase the dynamic and ad hoc technical information appearing, I might find a need for presenting such in a more easily digested fashion. However right now, as far as I can see – any issues with the font are merely style preferences, as opposed to concerns of any substance. I’ve mentioned this on James Allen’s site at the start of the weekend – in an attempt to go for a younger, “cooler” audience I think they’ve chosen a terrible new suite. The last couple had a lovely clean, sophisticated look whereas the new font looks like it’s aimed at teenagers and is very dated to my eyes – like a late 90s/early noughties look. The size is wrong, the type looks squashed down and the colours are unreadable against certain backdrops. Truly awful. Despite what my optician called perfect eyesight, I struggled to read the timing tower on my 32-inch TV. Can only imagine how dreadful it must be on a tablet or phone. Having initially not been keen on the new logo, I now like it but I think having it wash across the screen with every replay or cutaway is overkill. I know I’m watching F1. I don’t need reminding every few seconds. As others have suggested, it appears Liberty are determined to move towards an Americanised presentation which I really dread. Of all the things the sport desperately needs, a theme tune isn’t one of them! My vote goes to the 2015-17 graphics. The transparent grey background allowed you to see more of the track, and it seemed less distracting. The 2018 version is a much higher contrast against the picture. What I still don’t like, is the position of the block, it’s too far out from the left. This is because so many TV’s are improperly adjusted, and overscan, so broadcasters have to make allowance, or you would miss part of the graphic. There’s something not quite right about the new graphics, and it’s mostly the font that I take issue with. Everything from the kerning, the diagonal lines and their positioning within the text boxes just looks a bit weird. That said, the extra eye-candy they’ve added isn’t bad; with a bit of refinement I think there’s potential for a properly modern graphics suite. Work out the kinks and we’re on the right track. I watch on a 65″ TV and wouldn’t want the graphics any bigger than they are already. I guess the best option would be to give the watcher an option. I agree with many other posters, I find the font difficult to read at smaller sizes; I’m watching on a 49″ TV with UHD picture. The positions, in white boxes, not a problem, but the three letter abbreviations appear a little squashed in IMO. Mainly, this is because of the width of the font. To make it fit the height of its box better they would need to reduce the width also. Also, the semi-transparent bit to the right is very difficult to see on a moving background. It’s not too bad when it’s white text (although this needs to be bigger also) but the car numbers and logos can be a bit tricky! Other than that, I like the style of the graphics, I think they could animate a little quicker, but generally everything is there, just moved somewhere. I was impressed by the tower morphing to show ‘On Track Battles’ partway through the race, leaving the drivers with a gap between cars out by showing their gaps. I think the overall look of the 2018 graphics is fine, There are some tweaks that could be made to improve them & I think some aspects of them are a bit larger than they really need to be (And others were a bit smaller) but there generally fine. The font however is not. I’ve been finding the new font difficult to read since it was introduced on the website/app & those difficulties also translated to the TV broadcast. I don’t know exactly why but it is something thats been an issue for me. I think the new graphics with the old font would be the best option. The votes between 2015-2017 and 2018 are getting closer.